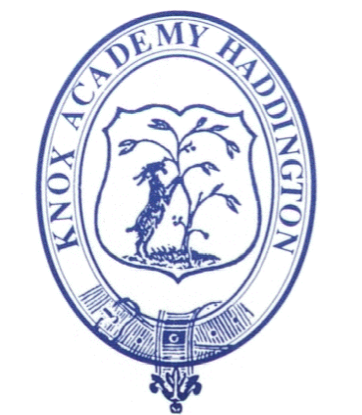 Knox Academy is the high school serving East Lothian’s county town of Haddington and named after its pulpit-thundering son John Knox, would-be nemesis of Mary Queen of Scots and her “monstrous regiment of women”. Well to the fore again today he might have swelled with pride rather than brimstone when three ELC councillors joined a fund-raising debate organised by Knox seniors to benefit the local Bridges Project. Organised by Yve and others* (most from the Monstrous Regiment), with light-touch support from Head Teacher Ms Ingham, the lunch hour was spent in a debate that ‘professional’ politicians engaged in similar but less edifying activity in Westminster, Holyrood and sundry TV studios could well have learned from—not least in the use of factual support, articulation and lack of acrimony. The panel was set up in the library in from of 120 seniors between two teams to debate the question: “Should Scotland be an independent country?” chaired by Ludovic Broun-Lindsay, Provost of East Lothian. The ‘No’ team consisted of Amy, Lev and Cllr John McMillan who, like the Provost, represents Haddington. The ‘Yes’ team was Finn, Euan and should have included the third councillor for Haddington, Tom Trotter. As Tom was unavailable, your humble scribe was pulled in to make up the numbers. Finn opened the batting for Yes with a straightforward series of arguments how there was a general need for change and the only way for that to happen in Scotland was through a break with Westminster and run our own affairs. In fact, he asserted that the present UK government was dysfunctional and unable to meet Scots aspirations. A better society was attainable by using neighbours like Denmark and Iceland as examples. It was time, he argued, to bring power into our own hands. Amy’s riposte for No was powerful, claiming independence would lead to weakness and isolation, threatening the Barnett handouts and the fact that HM Treasury supported Scotland to the tune of £8,300 per head, whereas only £7,100 was spent in England. We would be too reliant on a single volatile commodity—oil—and even short-term surplus would be spent and not saved. And taking the 2008 financial crisis as an example of tough times, she maintained an independent Scotland would not be able to weather such a storm, especially as the clear steer from the Chancellor was that we could not use the stability of the pound sterling. Coming back for Yes, Euan challenged Barrosa’s claim that EU membership would be “difficult if not impossible” by citing other EU officials saying the opposite, including Spanish nationals. And, far from depleting, the oil reserves were being added to such that some £200bn remained to be exploited. Moreover, properly managed, oil could start to build a fund like Norway’s (now £300bn) and other industries such as textiles, whisky, salmon and renewable energy were major earners and growing. He also pointed out that the UK could not prevent Scots from using the pound as there were plenty of examples of sovereign states using someone else’s currency while being independent—including the Isle of Man and the Channel Islands. Lev weighed in for ‘No’ by stating flatly that independence would obliterate Scotland’s voice in the world it has through the ‘weight’ of the Union. No more would we have a seat on the UN Security Council, have any control within the EU or NATO and—most serious of all—give up both the “iron protection” of 225 nuclear warheads and that of the special relationship with the United States. Independence would be a weak, disjointed strategy that would steer us onto the rocks. The two councillors then made their own contributions, none of the speakers being allowed past the 3-minute limit set by the Provost, who then threw the debate open to the floor and a series of questions mostly directed at the ‘No’ team but both sides handled it well, especially given that nobody had ‘prepped’ them for what those questions were likely to be. As my own views as part of the ‘Yes’ team are pretty clear, I would not wish to critique the other side too much, other than to say their arguments were just a catalogue of losses they believe we would suffer with independence. But, other than that, I thought both Amy and Lev marshaled their arguments and articulated them well and, if I am honest, made a better, slicker case than Finn and Euan managed. But when the Provost called for a show of hands in the vote, there were roughly 50 each for ‘Yes’ and ‘No’, with a dozen or so undecided— a classic Scots “mebbies aye; mebbies naw” result. So, in declaring such a draw, he was being both fair and accurate. That rather delights me because, if these young voters are at all representative how this douce backyard of former Labour leader Iain Gray will vote, then the Better Together campaign is in deep trouble in what should be its heartland. *Thanks for helping make this all possible go to: Emma Scott, Bethan McGregor, Nicole Alexander, Danielle Forsyth, Caitlin Brock, Gemma Sandie, Kirsty Steven, Holly Taylor, Connor Tinch, Lyndsey Herkes, Kieran Haldane and Calumn Wilson. This entry was posted in Community, Politics. Bookmark the permalink.